Ophthalmic, Cardiac, Hormonal & Dental Involvement In RSD - Piedmont Physical Medicine & Rehabilitation, P.A. Ophthalmic, cardiac, hormonal, and dental system involvement should be carefully considered as a complication of Reflex Sympathetic Dystrophy (RSD). While controversy exists about this statement, basic facts concerning anatomy and physiology support the conclusion. In addition, clinical presentations occur where ophthalmic, cardiac, hormonal, or dental systems become involved, and the only discernable etiology for their involvement was the pre-existence or RSD. Due to the autonomic innervation of the eye, patients with RSD not uncommonly complain of difficulty with dry eyes or blurred vision. 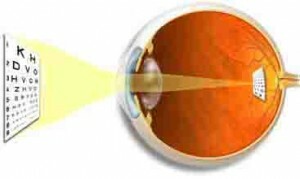 In some instances accommodation, the eye’s ability to focus on images at varying distance is impaired. In others, the tearing mechanism is altered. Pupilary function can become sluggish as well. 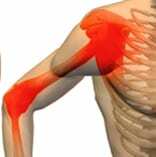 While these problems may wax and wane in concert with exacerbations and remission of pain, there does not need to be a direct correlation. Cardiac abnormalities most commonly include arrythmias (due to the dependency of the heart on the autonomic system for proper pacing and rhythm) and low ejection fraction related to heart failure. This should not be surprising as the sympathetic system modulates heart contractility, left ventricular wall tension, vascular tone, and impacts left ventricular remodeling or hypertrophy. Heart failure is associated with reduced norepinepherine responsiveness. The body commonly reacts this way when prolonged or abnormal amounts of circulating neurotransmitter occur. Further more heart failure responds to treatment with Carvedilol, a medication that prevents the release of norepinepherine. The mechanism of action and response to therapeutic intervention are both quite consistent with a clinical condition generated by RSD. 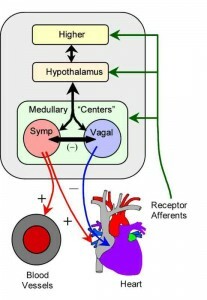 The sympathetic nervous system is also known to be involved in feedback loops with the Renin-Angiotensin system of the kidney, the androgen hormones (including at least estrogen and DHEA), and the pituitary-hypothalamic axis. It stands to reason that complaints of fatigue, decreased libido, and diminished ability to deal with stress should be expected in the presence of RSD. Clinical practice in fact bears this out, often in patients who never had these symptoms prior to the onset of pain. Many patients with RSD are worried about having dental procedures performed. Most dentists use epinephrine with local anesthetic, so the fear that their dystrophy may be worsened by the procedure has some justification. While sinus, gingival and tooth infection can all worsen RSD symptoms, the altered saliva content, viscosity and volume associated with aberrant sympathetic function probably play a grater role in creating these conditions to begin with. 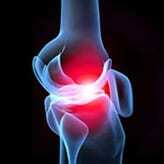 Medications used in the treatment of RSD may further worsen the situation. Naturally, when any organ system becomes involved, a physician with expertise in the treatment of RSD and who has a longstanding relationship with that patient can help distinguish those cases that are due to RSD. 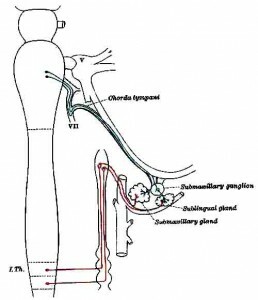 When other causes are not evident, and the underlying condition is consistent with RSD as an etiology, ophthalmic, cardiac, hormonal, and dental system involvement should be carefully considered as a complication of Reflex Sympathetic Dystrophy (RSD).